Weekend Historical Happenings: 4/26/14 - 4/27/14 ~ The History Girl! On Saturday, join the 1st New Jersey Volunteers, a Revolutionary War reenactment unit, as they go through training at the Indian King Tavern. Join them as they practice basic maneuvers, drills and the proper technique for marching used by the British during the War for Independence. The event runs from 10:00 am - 3:00 pm and is free to the public. Visitors may also tour the historic tavern, located at 233 Kings Highway East, Haddonfield, NJ. For more information, call 856-429-6792 or visit www.indiankingfriends.org. The Borough of Caldwell Historic Preservation Commission invites the public to Caldwell Public Library to attend open house activities about “Your Old House: Historic Preservation in Caldwell NJ” on Saturday from 10:00 am - 1:00 pm. The program will focus on the Borough’s rich architectural heritage, which runs the gamut from eighteenth century residences to a modernist former drive-in bank on Bloomfield Avenue. Historic maps and photographs of Caldwell will be exhibited. Residents will be able to look up historic information about their homes. Speakers will include Commission Chairman Richard Basta, RA and Commissioner David Cowell, PhD, Historian and GCBMA President. Admission is free and light refreshments will be provided. The Caldwell Public Library, is located at 268 Bloomfield Avenue, Caldwell, NJ. For more information and to register, e-mail librarian@caldwellpl.org or call 973-226-2837. Visitors to the Farm can join the field crew, planting seed potatoes in furrows opened with horse drawn equipment between 11:00 am and 3:00 pm. The Cumberland County Historical Society will welcome author and preservationist Frank Eld on Saturday at 3:00 pm, who will discuss Finnish log structures and construction techniques in front of the Swedish Granary on the grounds of the Gibbon House. This is a free lecture and all are welcome to attend. Original South Jersey Scandinavian and those of German descent are highly encouraged as members of the historical societies and the Greenwich library will also be there. Rain date is April 27. The old Swedish Granary is located behind the Old Gibbon House at 960 Ye Greate Street, Greenwich, NJ. For more information, visit www.cchistsoc.org. 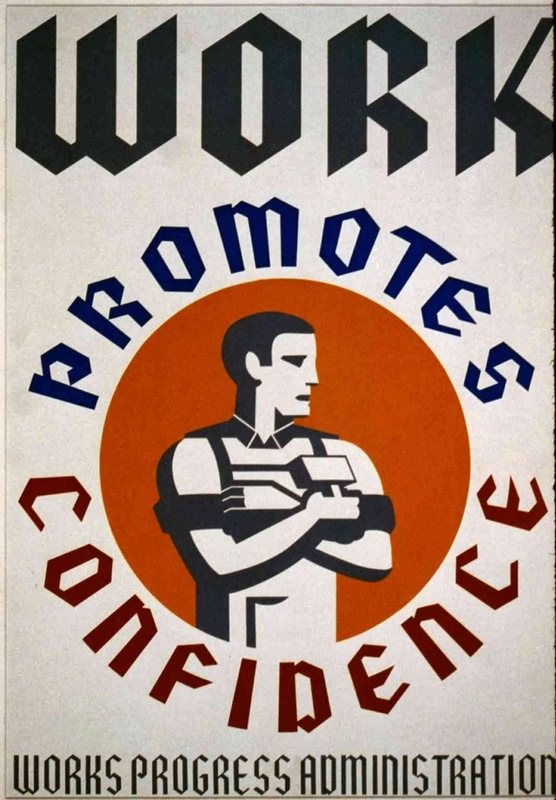 The American Labor Museum/Botto House National Landmark will observe Workers' Memorial Day, a day set aside by the nation's unions to draw attention to the occupational health and safety of workers in the U.S., on Saturday at 1:00 pm at the museum's headquarters, the historic Botto House National Landmark. In addition to the traditional candle-light vigil, Irwin Nack, Associate Professor of History at William Paterson University (retired) and past president of the American Federation of Teachers Local Union 1796, AFL-CIO, will offer a presentation and lead a discussion on the topic "The Labor Policies of the Obama Administration & the Roosevelt New Deal." Playwright and actor, Karen Carson follows with a presentation of "Eating the Bear: Snapshots of the New Normal," a reading of monologues about coping with job loss with a post-play audience discussion. On Saturday, the Tuckerton Historical Society presents "Rutgers Marine Field Station" presented by Ken Able of the Institute of Marine and Coastal Sciences. Learn about local marine ecology. This presentation will be held from 2:00 - 4:00 pm at the Giffordtown Schoolhouse Museum, 35 Leitz Blvd., Little Egg Harbor, NJ. For more information, call 609-294-1547. Don't miss this exciting opportunity to learn more about Northwest Bergen County history. For more information about the day, call the Schoolhouse Museum at 201-447-3242 or e-mail info@ridgewoodhistoricalsociety.org. Stop by the Ocean County Historical Society on Saturday from 10:00 am - 4:00 pm for their Victorian Extravaganza! Celebrate the beauties of spring as you tour their elegant Victorian home, made even more colorful with floral arrangements created by Purple Iris Flower Shop, The Village Florist, Flowers by Addalia, Skip's Toms River Florist & Gifts, Added Touch Florist, Designs by Kim Measure, Alan's & Mininsohn's Fabulous Florals, and Accents by Narcissus in each room. Adding to the celebration theme throughout the museum will be paintings by Ocean County artists. Enjoy a watercolor painting demonstration by popular Island Heights artist Ludlow Thorston (10:00 am - 12:00 noon), a flower-arranging demonstration by Tom Addalia of Flowers by Addalia (1:00 - 2:00 pm), and finally a basket-making demonstration by artist Harry Bower (2:30 - 3:30 pm). Shop for gifts and plants for your garden as you peruse the displays of local crafters, beekeepers, and plant growers. Enjoy a day of fun for one low admission price of $5.00! No reservations are necessary. 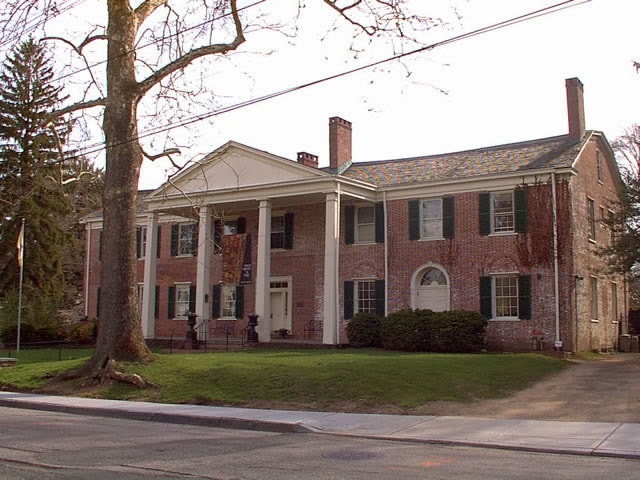 The Ocean County Historical Society is located at 26 Hadley Avenue, Toms River, NJ. For more information, call 732-341-1880 or visit www.oceancountyhistory.org. On Saturday, the Union Landing Historical Society will hold their 15th Annual Antiques Road Show at The Curtis House from 2:00 - 4:00 pm. Bring your antiques, collectibles, what-nots, and treasured miscellany. Cost $5.00 per item benefitting the Union Landing Historical Society of Brielle. See what your treasures may be worth! Knowledgable appraisers will be present. The event will be held at the Curtis House, 644 Union Lane, Brielle, NJ. For more information call 732-403-6774. Washington Township’s Historical Preservation Advisory Board presents its 6th annual Classic Car Show on Saturday at the Olde Stone House Historic Village. Running from 10:00 am until 2:00 pm, the Classic Car Show will include a basket auction, a DJ, a 50/50 raffle, food vendors, and tours of the Old Stone House Village. Spectators will be given free admission, but those entering their vintage cars in the show will have to pay a $15 fee to enter on the day of the show. Registration begins at 9:00 am. Cars will be divvied up into two classes - models 25 years and older and models from 1990 and onward. The winner of the vintage car class will be awarded a trophy. The newer car class is without a trophy, and the vehicles are eligible for display with a $5 donation. All those who enter their car will be placed in a drawing for a door prize. Rain date is Sunday, April 27. The car show will be held at the Olde Stone House Historic Village, 208 Egg Harbor Road, Sewell, NJ. For more information or to register, e-mail townshiphistory1836@gmail.com. In the days immediately following the Japanese bombing of Pear Harbor, fear gripped the country and no one knew what strategic target might be next on Japan's list. Lt. Colonel Robert Vaucher, who was recently inducted into the New Jersey Aviation Hall of Fame, will recount his experiences in the early phase of World War II as a young pilot in the Army Air Corps. Lt. Col. Vaucher was first assigned to Central America in 1942, where he logged over 1,000 hours in the air protecting the Panama Canal. For his steadfast efforts he was selected to be part of the B-29 bomber test team, which was charged with testing and modifying the B-29 before it was ready for combat use. Lt. Col. Vaucher was the first pilot ever to fly the B-29 at an elevation of 38,000 feet. In recognition of his contributions to the B-29 program, he was selected as Mission Commander to lead 525 B-29s in a final show-of-force flight over General MacArthur's Japanese surrender signing ceremony on the USS Battleship Missouri. On Saturday, special guest speaker Lt. Colonel Robert Vaucher will recount his experiences at this free event to be held at historic Van Horne House, 941 East Main Street, Bridgewater, NJ. The program will run from 2:00 - 3:30 pm. Free parking is available behind Target and at the ballpark. Space is limited and reservations are required. For more information and to register, call 732-356-8856 or sign up online at www.heritagetrail.org. New Jersey's Tall Ship, the A J Meerwald will present a special lecture sail, "Plastics at Sea," out of Penn's Landing on Saturday. 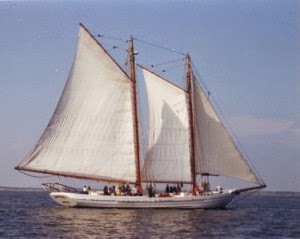 The lecture will be presented on two sails - 10:00 am - 12:30 pm and 5:00 - 7:30 pm. The lecture, "Plastics at Sea" will feature Emilee (Ems) Monson who was a crew member of the 2012 Plastics at SEA North Pacific Expedition, a scientific research voyage conducted by Sea Education Association (SEA) dedicated to the study of the effects of plastic marine debris in the ocean ecosystem. This was the first scientific research study of the 'Great Pacific Garbage Patch' to measure the concentration of plastic in the gyre. Ems will talk about some of the research they conducted, their findings, and highlights of the adventures of sailing a tall ship in the Pacific Ocean. The Bayshore Center at Bivalve is located at 2800 High Street, Port Norris, NJ. Click here to purchase tickets for either of the two sails. Tickets: 10:00 am - 12:30 pm sail are $40 adults (ages 13-59) / $35 seniors (60+) / $20 children (3-12) / $0 infants (under 3). Tickets for the 5:00 - 7:30 pm sail are $45 adults (ages 13-59) / $40 seniors (60+) / $22 children (3-12) / $0 infants (under 3). For more information, call 856-785-1325 or visit www.bayshorecenter.org. What was life like of a Continental Soldier? What equipment did they carry? Join a Continental Soldier at the Soldiers Huts and find out about his equipment and lifestyle. Meet the soldier between 1:30 and 4:00 pm at the soldier huts at Jockey Hollow, within Morristown National Historical Park, Morristown, NJ. Cost: Free. For more information, call 973-543-4030 or visit www.nps.gov/morr. On Saturday, stop by the Warren County Historical and Genealogy Society in Belvidere to learn about the families that lived and worked at the nearby VanNest-Hoff-Vannatta Farmstead in Harmony Township. 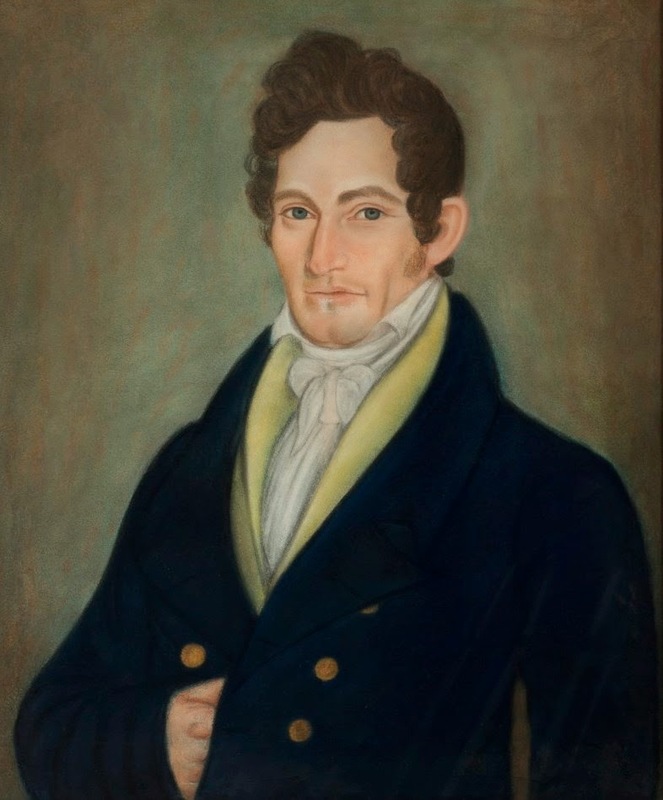 Learn how the Hoff family lived and how the Vannatta family had come to own the property. Also learn how William M. Vannatta who owned the farmstead was related to the rest of the Vanatta/Vannatta clan. Free refreshments and special guests will be in attendance. The Warren County Historical and Genealogy Society is located at 313 Mansfield Street, Belvidere, NJ. For more information, call 908-475-4246. One must weft a loom to pull a shuttle through a shed. Confused? Join a Park Ranger at the Wick House and learn the basics of weaving. This is a Hands-on demonstration. Program runs continuously from 1:30 - 4:00 pm at the Wick House in Jockey Hollow, within Morristown National Historical Park. Cost: Free. For more information, call 973-543-4030 or visit www.nps.gov/morr. On Saturday and Sunday, experience Living History Weekend at Monmouth Battlefield State Park, Manalapan, NJ. This event will take place in and around the Visitor Center. Members of the 3rd NJ Volunteer Infantry will discuss New Jersey's roll in the Civil War. On Sunday, there will be a Revolutionary War encampment where you can talk to continental soldiers and learn about the important battle that took place on the fields in the summer of 1778. The weekend will include a variety of demonstrations along with children's wooden musket drills and a presentation by Molly Pitcher at 1:30 pm on Sunday. Admission is FREE. Hours on Saturday are 10:00 am - 6:00 pm and Sunday from 10:00 am - 4 pm. The main entrance to Monmouth Battlefield State Park is located at 16 New Jersey Business 33, Manalapan Township, NJ. 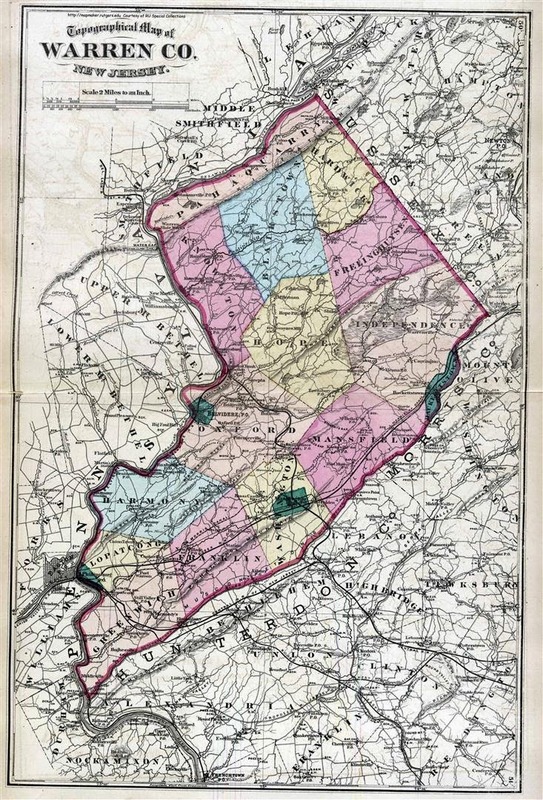 For more information, visit www.friendsofmonmouth.org. The Harmony Township Historical Society and the Historic Preservation Commission of Harmony Township invite the public to attend their annual Spring Open House at the historic VanNest-Hoff-Vannatta Farmstead on Saturday and Sunday, from 11:00 am - 3:00 pm. Admission is free. The farmstead is located at 3026 Belvidere Road, Route 519, just north of the Municipal Building in Harmony Township. On Saturday and Sunday, celebrate the annual return of the shad to Lambertville. In its 33rd year, the Shad Festival has evolved from a local art show into a nationally recognized award-winning event. Shad Fest features the area's finest artists and crafters, great food, live music from local bands, and family entertainment, but the two-day extravaganza also serves as a venue for local non-profit organizations to raise necessary operating funds. The festival will run from 12:30 - 5:30 pm each day, rain or shine. There will be over eighty arts and crafters, a food court, face painting, cotton candy, sand art, and other children’s activities. The Delaware River Basin Commission will be teaching about how to test water quality at Lewis Island. In addition, attend an educational shad seining demonstration at Lewis Island. There will be a poster display and auction, with monies going toward scholarships for students pursuing a collegiate career in the arts. For more information, visit www.lambertville.org/14shadfest.jsp. Sign up for the FREE event, "Cook Like a Soldier" held at the Museum of Early Trades and Crafts on Sunday beginning at 2:00 pm. Food historian, Carolina Capehart will teach the audience what the typical Revolutionary War soldier's diet consisted of and how it changed over time. Afterwards there will be an exhibit reception. Space is limited, so please register by calling 973-377-2982 x14. The Museum of Early Trades & Crafts is located at 9 Main Street in Madison, NJ just two blocks from the Madison train station. For more information, please call 973-377-2982 x10 or visit www.metc.org. Have you always wondered what types of things soldiers carried throughout the war? Join a Park Ranger at the Wick House to discover what would have been inside a soldier's knapsack. Program runs continuously from 2:00 - 4:00 pm in the Wick House at Jockey Hollow, within Morristown National Historical Park, Morristown, NJ. Cost: Free. For more information, call 973-543-4030 or visit www.nps.gov/morr. Have some old-fashioned fun as you take on the same games that the soldiers and the Wick family played. Try your hand at nine-pins, quoits, trap-ball, nine-man morris, fox and geese, and other eighteenth Century games. Program runs continuously from 1:30 - 4:00 pm at the Wick House in Jockey Hollow, within Morristown National Historical Park. Cost: Free. For more information, call 973-543-4030 or visit www.nps.gov/morr. On Sunday beginning at 9:00 am, The Friends of Old Swack Church and cemetery grounds in Lebanon Township are sponsoring a cleanup of the grounds. Originally built in 1844, the church closed in 1894 and the grounds have been neglected, abandoned, and overgrown for years. Beginning in early 2013, the Friends of Old Swackhammer Church have been cleaning the grounds. This end-of-summer cleanup will involve weed whacking, raking, cutting down the tree saplings, and putting down weed killer. The Old Swackhammer Church and Cemetery is located at 108 Anthony Road, Lebanon, NJ. Please bring weed whackers, rakes, shovels, gloves, clippers, and any other tools that you think may be helpful in clearing the grounds. 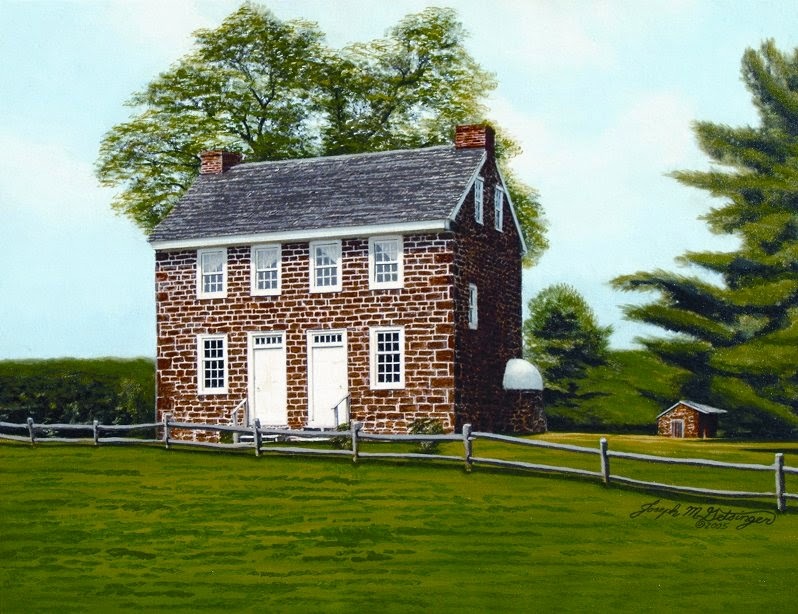 Tell your friends and family about this opportunity to preserve a New Jersey historic site! Volunteers are needed for the Spring Clean-up at Washington Crossing Park in New Jersey! Participants should wear work clothing, comfortable shoes and bring hand tools and gloves for clearing brush and for picking up trash. No power tools are permitted. Volunteers will clean trails and park grounds at the arboretum, along the Delaware River, at Sullivan’s Grove, and the grounds aside the Visitor’s Center. Volunteers may work in two hour shifts or the entire day, from 11:00 am - 4:00 pm. Check-in is from 11:00 am - 2:00 pm at the Stone Barn in the Park (follow signs for the Johnson Ferry House). Volunteers will sign-in and meet members of the Association and the Sierra Club and get their assignments. This program is sponsored by the Washington Crossing Park Association, Inc. of New Jersey and the New Jersey Sierra Club. Program will be held rain or shine. In the event of heavy rain or snow, participants may call Joe for cancellation information at 973-271-8333. Washington Crossing State Park is located at 355 Washington Crossing Pennington Road, Titusville, NJ. For more information, visit www.washingtoncrossingparkassociation.com. Follow the sounds of sheep bleating on April 27 - it's time for the museum's annual Sheep to Shawl Festival! The festival is from 1:00 - 4:00 pm and takes place rain or shine. A ship on dry land? Well, sort of. 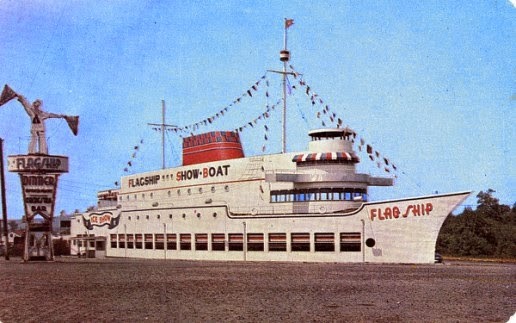 The Flagship was a landmark supper club on Route 22 (aka Route 29) in Union, NJ, among other businesses (including The Wiz) housed in the unique structure over the years. Today, it's the site of P. C. Richard & Son. You're cordially invited for a ride down memory lane and back to the future for a history of Route 22, the businesses and structures that line it now, and those that are gone - but not forgotten, via a slide presentation by Tom Beisler and Tom Haggerty, trustees of the Union Township Historical Society, at the Caldwell Parsonage, 909 Caldwell Avenue, Union, NJ on Sunday at 2:30 pm. The program will be part of the Union Township Historical Society's meeting, which will begin at 2:00 pm. Non-members are cordially invited to attend. Refreshments will be served. Admission is free; donations are greatly appreciated. 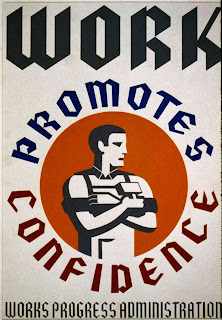 For more information, visit www.unionhistory.org and www.uniontwphistoricalsociety.webs.com or call Barbara La Mort at 908-687-0048.